18. 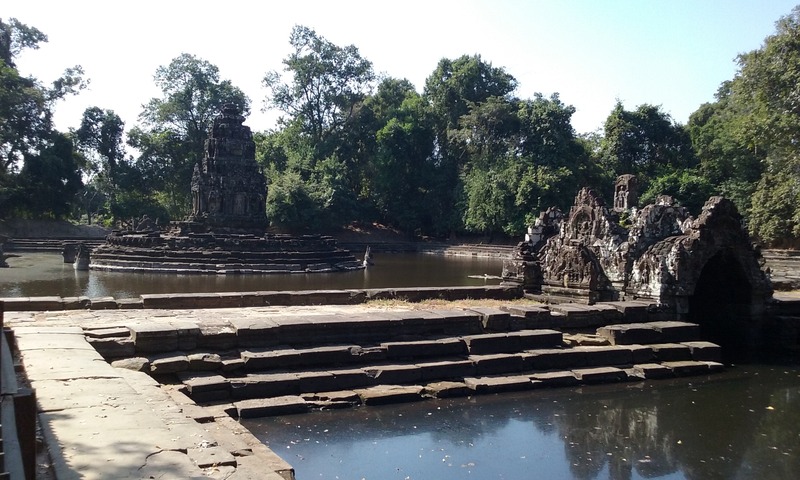 Neak Pean – a water temple with a lotus-shaped central sanctuary that rises from a pond and is surrounded by four smaller ponds. We had to cross a reservoir to get here.